Please give details when inquiring as to whether you are a family group or a group of friends and the ages of your group are. Non smokers only. Hi my name is Kristin from Time in a Place holiday property management. I am lucky enough to be a long term local of Mt Maunganui and I endeavor to make your stay in the beautiful Bay of Plenty enjoyable. I invite you to come and enjoy our fantastic beaches, cafes and restaurants and am happy to offer advice on the great activities we have available. You will find that all of our properties are clean and well provisioned for your holiday needs. My business Time in a Place takes the hassle away from holiday home owners by offering holiday home management which includes preparing homes for short term letting , managing of bookings and servicing properties between stays. 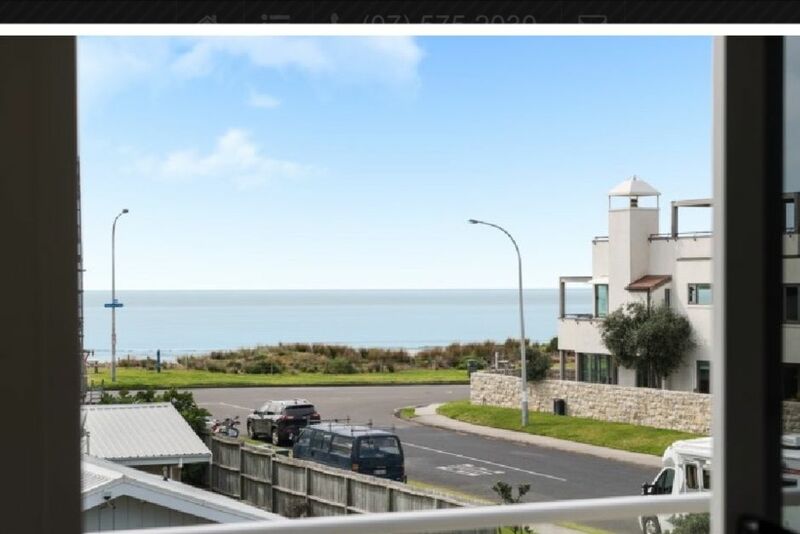 Great location, easy walk to shops and beach. Great location and very well set up property. The property is in a fantastic location - a minutes walk to the beach and a nice stroll to the shops. The apartment was very clean and the pantry and bathroom/laundry stocked with many complimentary items was a nice touch. The only minor issue was the lack of good cold air conditioning and two of the rooms have no windows but do have a vent for air con (as we had a baby who struggled with the heat a little) - we were somewhat saved with a tower fan that was there and had our own fan.